Freelance Follies: "Are you done yet?" 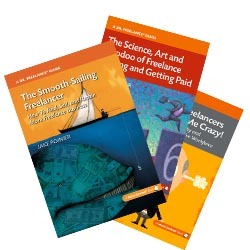 Do you have freelance clients with unrealistic deadlines for writing and editing jobs? Of course you do. Have you been asked “Are you done yet?” Of course you have. A Freelance Follies video short—#2 in an ongoing series. RT @drfreelance: Freelance Follies: "Are you done yet?" ##freelance http://bit.ly/cZCTy4 recognize him?